Silly socks…not just for kids anymore! 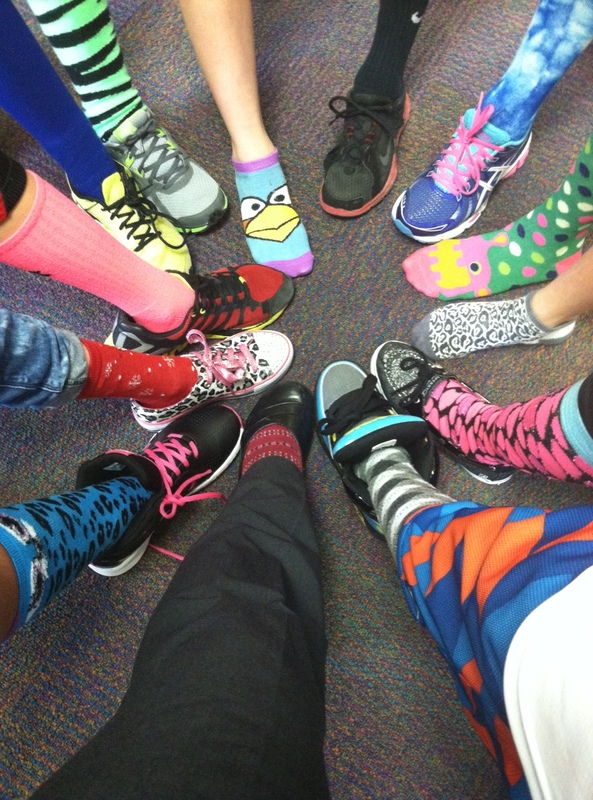 Our building was full of silly socks today as a focus on the first day of Red Ribbon Week. “Seriously, don’t do drugs!” challenged us all to take the message of being drug-free seriously, but not ourselves too seriously. As students reflected on the silly things we do in life, they also talked about the serious side effects of harsh drug, tobacco, and alcohol use on the body. StuCo members shared startling statistics about drug abuse during the morning message…sobering facts to ponder in these formative years of growing and learning. Here’s hoping the message throughout the entire week causes you and your child to have frank conversations about drugs, alcohol, and tobacco use. Let’s all STAND UP together! Note: Tuesday’s theme is STAND UP For Your Friends! This entry was posted in Personal Reflections and tagged conversations, drug abuse, drug-free, Red Ribbon Week, socks. Bookmark the permalink.